To celebrate its tercentenary in 1930, the Commonwealth of Massachusetts organized over two thousand events in 253 communities, drawing over eleven million visitors. 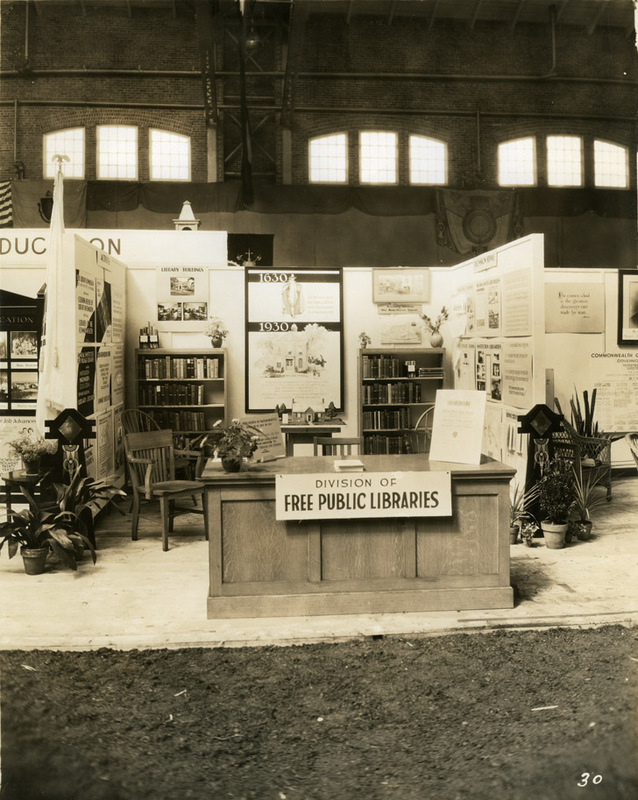 One of the most elaborate of these events was the Exposition of Governmental Activities held at the Commonwealth Armory in Boston between September 29 and October 11. A celebration more of contemporary governmental activity than the historical precedents, the exposition featured displays representing nearly every branch of government, from the Department of Education to the state police, mental and public health, public welfare, transportation, agriculture, labor, and industry. P.E. (Paul) Genereux (1892-1977), a commercial photographer from East Lynn, was hired to document the exhibits and displays in the Exposition of Governmental Activities, producing commemorative albums containing silver gelatin prints, carefully numbered and backed on linen. This disbound album includes 88 of the original 175 prints, including interior and exterior shots, with an additional image by Hildebrand.